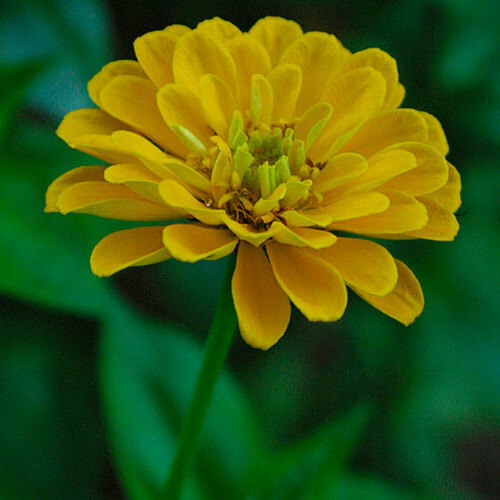 The genus Zinnia includes 20 species of annuals, perennials, and shrubs, some of which are mainstays of the summer garden. They are native mainly to Mexico, but some species are found in the southwestern U.S. and Central and South America. 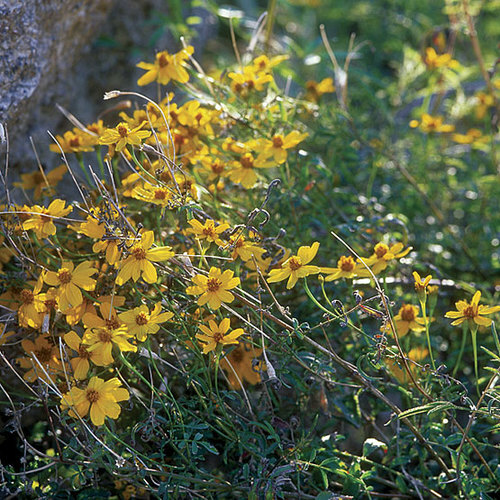 Their familiar flowers are daisy-like and sit on long stems. Some flowerheads are classified as dahlia-flowered and others as cactus-flowered. 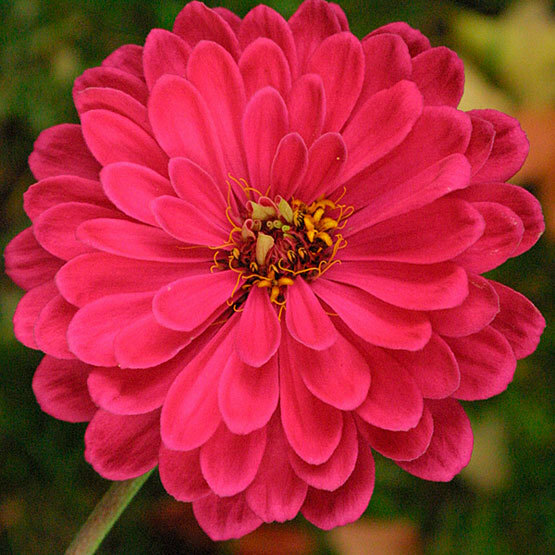 Zinnias are useful in beds and borders, in cutting gardens, as edging, and in window boxes and other containers. Noteworthy CharacteristicsColorful, daisy-like flowers in white or shades of yellow, orange, red, purple, lilac, and even green. 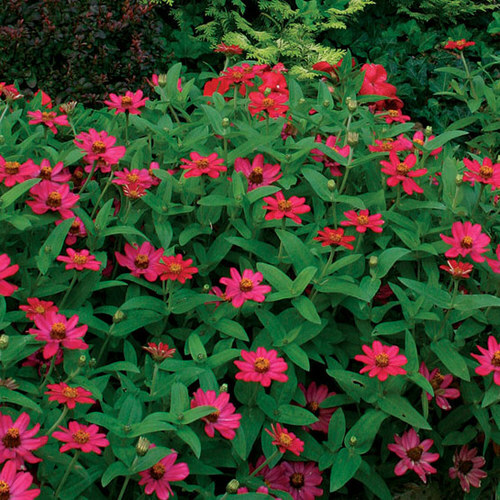 CareZinnias need full sun and fertile, humus-rich, well-drained soil. Deadhead regularly. PropagationSow seed indoors at 55° to 64°F in early spring, or in the garden in late spring. For a longer flowering display, sow seeds in succession. ProblemsBacterial and fungal spots, powdery mildew, bacterial wilt, Southern blight, and stem rots are common. Caterpillars, mealybugs, and spider mites also cause problems.